Android 2.4 coming in April? There is something fishy with the next Android update. We all know there is no smoke without fire, and there is plenty of smoke surrounding what Android 2.4 will be - a minor revision of Gingerbread, Ice Cream or something else. Now the latest rumour, said to be originating from manufacturer ViewSonic, claims that Android 2.4 will be an updated version of Gingerbread that will introduce the ability to run Honeycomb apps, designed for dual-core chipsets, to single-core phones running Android. 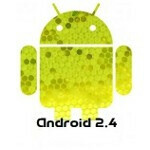 It is said that Gingerbread 2.3 is not able to support dual-core apps, hence the need to launch 2.4. Three days ago we told you that Ice Cream is set to incorporate Honeycomb features, but according to the guys at Pocket-lint, and their source at ViewSonic, this is actually Android 2.4, while Ice Cream is destined to be 3.1. This is to say that the ViewSonic ViewPad 4 (our hands-on here) will be launched with Android 2.4 out of the box in April 2011. Well, the dispute about the next Android update is getting seriously confusing, with conflicting reports flooding the net. Tell us what you think on this one, but better yet drop us a hint if you have a reliable information. yeah but if your an AT&T customer you really have no choice. I have a feeling i'm gonna catch a lot of crap for this, but I completely agree with you, and being that I just got a pixi that I love, I'm using my current upgrade to get a WebOS device whenever it's released. Google recently released a study showing there's less than 5% of Android users without Froyo or better. We're a ways off from there being a multitude of "Dual core only" apps anyways. In the next year, pre-2.2 phones will become non-existent. Were to do they get this numbers les than 5% of Android user without Froyo I have a Motorola Mliestone and I don´t have Froyo don´t know if I´m going to get it,one thing I´m sure that there are a lot people with phone older than 1.5 years old that don´t have Froyo either. Wow android 2.4 already....yeah you are right india rep alot of folks still don't have android 2.2 froyo yet I think there moving way to fast with these updates and the rate there going we weill never catch up.